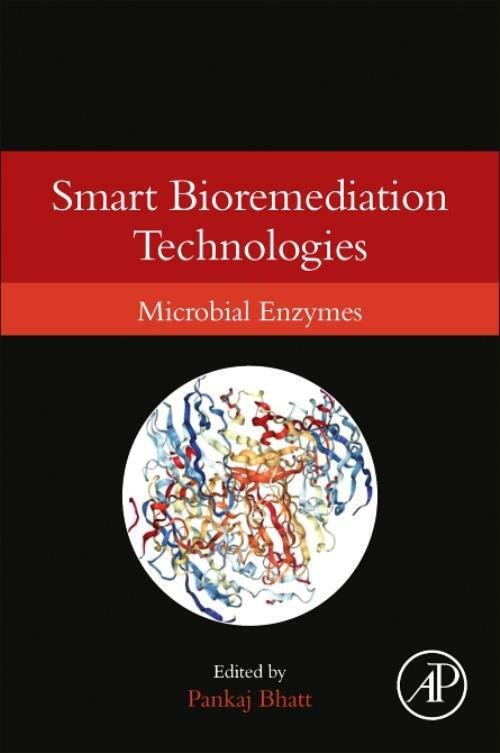 Smart Bioremediation Technologies: Microbial Enzymes provides insight to the complex behaviour of enzymes and identifies the metabolites and their degradation pathways in order to find the suitable solution for sustainable medicine and environmental pollution which will be a major thrust area for its future prospective. Microbial enzymes have replaced many plant and animal enzymes, they have found applications in many industries including pharmaceuticals, genetic engineering, biofuels, diagnostics, and therapy. New methods, including genomics and?metagenomics, are being employed for the discovery of new enzymes from microbes. Although there is a lot of literature available on enzyme action, there is no book available on how to solve problems in case of bioremediation. Smart Bioremediation Technologies: Microbial Enzymes gives tools to solve these problems. Dr. Pankaj Bhatt completed his Ph.D. in microbiology from G.B Pant University of Agriculture and Technology, Pantnagar, India. His research work was on Molecular and Microbiological Basis of Bioremediation. He worked as post-doctoral research associate at Indian Veterinary Research Institute Izatnagar, Bareilly on bluetongue virus disease. His current research project is insilico biology of biomedical, bioremediation, toxic compounds. He has published 20 Research articles in reputed journals. At present, he is working as Assistant Professor at Department of Microbiology, Dolphin (P.G) College of Biomedical and Natural Sciences Dehradun, India. Dr. Bhatt is a very promising early career researcher. He published several of his articles in the high impact factor leading journals: Nature Scientific Reports, World Journal of Microbiology and Biotechnology, 3-Biotech and other micro and bio technology Open Access journals. He published several book chapters on microbial biotechnology. He has selected for Post-Doctoral Scientific Position at Integrative Microbiology Research Centre, South China Agriculture University, Guangzhou China.